Whenever I hear the clink of metal against stainless steel, it all comes flooding back. The doctor walked into the exam room uncomfortably avoiding any eye contact as I sat shivering and hunched over on the stool in the corner of the stark exam room. He leaned against the cold, steel table and his watch band clanged loudly breaking the awkward silence. “You have about a one in a million chance,” he said, while quickly drawing his watch up to his chest to look at the time. “I’m sorry,” he mumbled and exited the room. It was the week before Thanksgiving and I had just been told I had a one in a million chance of ever becoming pregnant. And I felt anything but thankful. A couple of years ago the Thankful Thursday movement spread like wildfire across social media platforms. I loved the concept of it, but I also wondered how one person’s gratitude might bring grief to another. Thankfulness for my health might cause one who is sick to question God’s fairness. Thankfulness for my spouse might sear a hole through the widow’s heart. Thankfulness for my children might accentuate the ache in another woman’s empty arms. Because when you are hurting, it’s really hard not to compare. There is a lot of teaching floating around out there incorporating the psychological power of positivity. And there is certainly some truth to it- an attitude of gratitude results in a positive perspective about life. But when I look at what the Apostle Paul says about thanksgiving, I don’t think he means to look around at our circumstances and try really hard to find something positive about them. I think He means something else. Paul doesn’t say we are supposed to look around at our circumstances and find something to be thankful for. He says we are supposed to have a spirit of thanksgiving in prayer- because prayer is rooted in the person and character of God. When we go to God in prayer- in our hurts, heartaches, heartbreaks and even our horrific tragedies- we can be thankful, not necessarily in our circumstances, but in who God is. He is all powerful- and bigger than our circumstances. He is all wise- and can see a bigger picture than we currently can. He is all love- and we can trust that He will care for us even when we cannot see His goodness. He is kind- and we can come to Him in our brokenness and receive His compassion. Some Thanksgivings are hard. Sometimes life leaves us feeling anything but thankful and we compare our circumstances to others’ and end up feeling worse. God does not condemn you. He invites you to pour out your heart to Him and experience the peace only He can give. We certainly cannot always understand God’s purpose while suffering through a season of pain, but we can cling to the truth that God is good. And sometimes for this fact alone, we can be thankful. 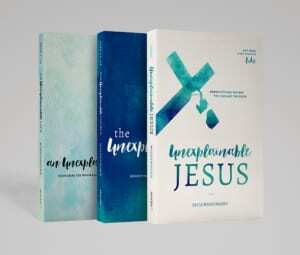 Erica Wiggenhorn is the author of An Unexplainable Life and The Unexplainable Church bible studies by Moody Publishers, covering the book of Acts.  For more about Erica and her writing and speaking ministry visit www.EricaWiggenhorn.com or connect with her on Twitter or Instagram @ericawiggenhorn. The Holy Bible: English Standard Version. (2016). (Php 4:6–7). Wheaton, IL: Crossway Bibles.